Never in my life as a church attendee have I felt the kind of support I feel from Crossroads. Recently God presented our daughter Jocelyn and her husband Aaron with the opportunity to go to Cambodia for a full year. 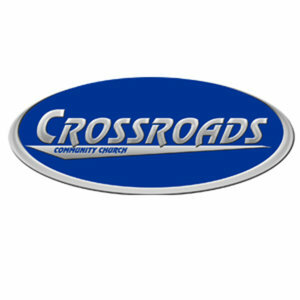 Immediately Crossroads' congregation began giving toward the $22,000 that was required. And as usual when there's a need they met this need in a matter of weeks. Also involved in the preparation was a need for musical instruments that would allow them to give the rescued children music lessons.There have been additional funds given toward that need as well. Never have I ever been associated with a more generous church. Our congregation is generous in other ways as well. They forgive and they move forward. They embrace new. As we send our daughter and son-in-law out, Crossroads leaders decided to bring our son and daughter-in-law in. He replaces a much loved young leader who is no longer at Crossroads. I have heard many conversations regarding the release of this young man. Some were spoken out of hurt at the loss of a friend. I saw ugly words written to staff in charge and heard youth declare they would never follow anyone new. This was hard. And when the person coming into replace is your own son it is personal. I realize it would not have mattered who the incoming person was - students experienced loss and that always hurts. Finally, over the last week or two I have heard breakthrough conversations regarding forgiving and trusting leadership and being kind to those in charge. This makes me hopeful. Last night as the student ministry kicked off the new format for Wednesday nights, I had the privilege of sharing with the students 'why we have the rules we have' when you are up front serving. I looked into their eyes as I spoke and almost became overwhelmed with passion to do everything within my power to contribute in some way to help move them quickly through any remaining sense of loss. The support Crossroads has given to our family is something I can never express enough thanks for. I love you all and count it the most high privilege to serve at Crossroads and do life in The Church!